There are over 9 million hard of hearing in the UK. In 2005 then the RNID (now Action on Hearing Loss) undertook a comprehensive survey involving over 20,000 applicants. It determined that of the UK population at the time, almost one in six was thought to present clear symptoms of hearing loss. Of the two most common causes for hearing loss, one being age-related and the other noise induced, the latter is preventable and the subject of various noise reduction enforcement and government regulations. What does ‘hearing loss’ mean? In complete contrast to common belief, hearing loss is not necessarily complete deafness, but rather an inability to hear certain frequencies. Our ability to hear as well as to see and smell depends on capturing sensory triggers that the brain can interpret. In the case of ‘hearing’, these triggers are vibrations and waves in the ear that are picked up by tiny hair cells within the inner ear. From there, these vibrations are sent by way of the hearing nerve to the brain. Naturally, as we mature and due to the detrimental effect of free radicals in the human body, the quantity and quality of these hair cells is reduced, and our ability to pick up certain frequencies of sound may become diminished. However, hearing loss may also be caused artificially due to harmful sound, and is referred to as ‘noise induced hearing loss’ which is long lasting and cannot be reversed. Damage or loss of hair cells cannot be ‘cured’ as the hair cells will not regrow. the duration of exposure to the loud noise. How to prevent noise induced hearing loss? The Control of Noise at Work Regulations 2005 (Noise Regulations 2005) requires UK employers to prevent or reduce risks to health and safety including exposure to noise in the workplace. There are a number of steps that employers must take. Noise assessment – Sounds exceeding 85dB should be the target of noise control. Often this involves improving the working environment, switching to quieter processes and updating mechanical machinery. The noise assessment should be carried out by a health and safety professional and revised when working conditions change and new processes are added. An area, which is quiet today, may prove noisy tomorrow, which is why noise assessment must be addressed routinely. 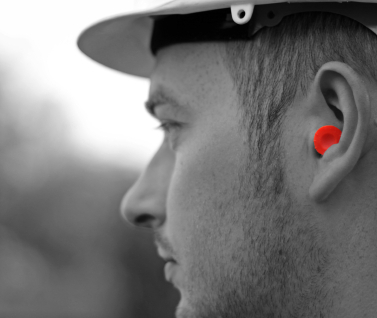 Using hearing protection – Measures such as earmuffs and earplugs are extremely useful in blocking sounds. However, these products carry an upper limit in terms of dB (or noise level) reduction effectiveness. Good quality earplugs that fit the wearer well can carry a noise reduction limit of up to 20dB. If a noise assessment survey measured even one dB over 105dB in the area, and guidelines do not permit noise levels to exceed 85dB, this solution alone would be ineffective. It is why hearing protection alone is never the answer. Policies and procedures – Identifying and taking action against harmful noise is only as effective as the people following it. Clear guidelines on where hearing protection must be used and in which areas these are allowed to be removed must be set and enforced by all parties involved. Training and maintenance – Employees will benefit from learning and understanding the cause of noise induced hearing loss. Training on the correct use of hearing protection must be given and these products should be maintained to ensure their effectiveness. Further support – Employees who are concerned about harmful noise should be given the opportunity to voice their concern and employers are encouraged to provide access to health professionals as required for the purpose of a hearing test. Bio: Joan McKechnie BSc Hons Audiology & Speech Pathology is a trained audiologist and a registered hearing aid dispenser. She works as a hearing aid supplier at hearing direct, the UK’s biggest supplier of amplified deaf and hard of hearing phones and actively writes for the hearing direct blog. It always shocks me when I walk by a work site and see guys using jackhammers without earplugs. 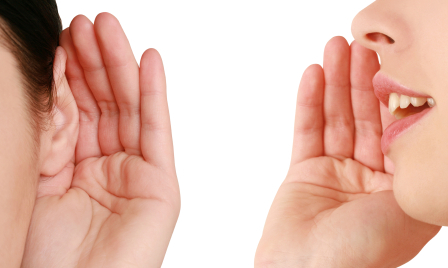 Ears are one of the most sensitive organs, but most of us don’t even bother to take care of them. We listen to high volume music, use cheap ear phones and headphones, don’t do regular ear cleaning, etc. Regular hearing checkup, exercise and nutrition intake is the key for better hearing. Moreover, people often attempt to remove the earwax by their own at home, which can be very risky and is one of the major reason of loosing hearing capability.